Bike Lady 2010 by the numbers…. At least 524 positive lifelong memories will be created tomorrow morning, assuming peering eyes haven’t found their surprise already. And you did that. We’ll never meet the children or the caregivers. We won’t see photos. Yet, know that you changed 524 lives for the better this holiday season. Thank you. This is the updated donor list, http://www.bikelady.org/Year_2010_Friends.html, but it doesn’t cover everyone – all the behind the scenes people like my boss who lets me skate on work responsibilities during Bike Lady, the caseworkers matching up and delivering the bikes to homes and everyone who forwards the emails and share the Facebook posts, etc. It’s a community effort of strangers that come together in a perfect storm and create something special. You are that community. You are that perfect storm. Here are two more videos that we hadn’t emailed yet. All videos can be found on the Bike Lady website. During one TV interview, the newsman asked me how this all gets done in four weeks. I laughed and said, “By God, I really have no idea!” I had him stop the camera so I could think about it for a minute. In retrospect, I did answer the question. By God is how it happens. From my house to yours, I wish you the best of a Merry Christmas. How does it come that the MONOWALKER Lowrider is a two- wheeled trailer and not a one wheeled trailer? One-wheeled bicycle trailer can be usually packed with baggage up to 20 kg/ 44,09 lb. Furthermore, one-wheeled trailer have often impact on the performance of the bike, due to the shearing force. Additionally, manoeuvring a one-wheeled trailer without a bicycle is very difficult. Furthermore, connecting it when it is fully loaded is very difficult. We constructed our trailer as a means of transportation for the entire equipment, even if you plan a weeklong journey. With the MONOWALKER lowrider bicycle trailer, a journey around the world can be made easily. Even the Ortlieb Big Zip bag (90x 50x 32 cm) fits onto the lowriders frame. It is possible to fit the volume of four panniers into the Ortlieb bag. This leaves enough space to pack things for a long journey. In our opinion the Lowrider makes a journey much easier and comfortable than travelling with a fully packed bicycle. • When the bike is without baggage, it is better to maneuver and easier to ride uphill out-of saddle. • During your bicycle tour, you can crest mountains or dive into breathtakingly pretty canyons. Become even more mobile with the help of the Lowrider, on a bike tour, the Lowrider can be reconstructed into the MONOWALKER hiking trailer without much effort. Crest mountains and dive into the atmosphere of breathtakingly pretty canyons. Even on impassable trails, you can reconfigure the trailer into a backpack. Drop Bar Version Mitts: We have a new road bike version. After lots of testing and design updates We have a design we feel good about...and thing you will too. The Road version is more open in the back end, but allows the rider to ride in the Drops, Hoods, and Flats of any drop bar. Made of 1000 Denier Cordura and Fleece lined your fingers will be warmer longer and keep you riding during the colder months. Standard in all Flat Bar Moose Mitts, this pocket is a good place to keep your energy bars warm enough to eat. It can also be used to store chemical hand warmers for added warmth. Two small Velcro pieces added to the bottom and inside top allow you to close your MTB Moose Mitts when not being used. This is especially useful when the bike is sitting outside in the rain or snow...It is a good way to help keep heat in to avoid re-heating the internal chamber. Editor's Note: I have seen these at roll: Easton if you want to see (and purchase) locally. It's the end of the year, which seems to me to be a great time to make a list. The following is a list of the top 10 routes on which to take a mountain bike trip in the American West. 10. White Rim Trail: Ride 100 miles along spectacular red rock cliffs in Canyonlands National Park. Permits for camping are required. A flood in 2009 washed out part of the road, so it can not be completed as a loop until further notice. For more information, visitwww.utah.com/offroad/white_rim_trail.htm. 9. Utah Cliffs Route: Pedal through national parks and stunning red rock country on rugged back country roads, bike paths, and jeep tracks in this 287-mile loop developed by Adventure Cycling Association. Road surfaces on the Utah Cliffs Loop Route are approximately 50 percent dirt and gravel roads and 50 percent paved roads. For more information, check out Adventure Cycling Association's description of the route. 8. Maah Daah Hey Trail: This 97-mile-long singletrack trail in North Dakota traverses dramatic badlands and rolling prairie in an area teeming with wildlife. Four fenced overnight campsites with hitching posts, vault toilets, and campfire rings are available along the trail. The north end of the trail begins at the US Forest Service CCC Campground in McKenzie County, located 20 miles south of Watford City, off Highway 85. For maps and more information, visit www.mdhta.com. 7. TransUtah: Not an official route or trail, this endeavor is part of a small but growing trend of visionary bikepackers armed with maps, ideas, GPS devices and lots of enthusiasm who strike out to invent their own routes. TransUtah is the brainchild of St. George cyclist Dave Harris, and in its current state travels the far back roads and trails of Southern Utah between St. George and Boulder, Utah. It's little more than a cue sheet and a GPS track, and there are few resupply options or water sources along the way, so this route is only for the truly prepared, knowledgeable, and adventurous. For more information, visit Harris's website to download a track and cue sheet. 6. Kokopelli Trail: This 142-mile red rock route starts in Loma, Colorado, and winds its way through sheer canyons, desert plateaus, and high mountain landscapes on its way to Moab, Utah. This well-marked route includes singletrack, 4x4 trails, gravel roads and some pavement. The elevation changes can be daunting, with the lowest point below 4,000 feet and two massive climbs reaching elevations near 9,000 feet. Drinking water is scarce and resupply non-existent along the route, which normally takes three to six days to complete. Visit the Bureau of Land Management's website for more information. 5. Oregon Three Rivers: The Oregon Three Rivers route showcases the Middle Fork Willamette Trail (about 30 miles), North Umpqua Trail (about 80 miles) and Mackenzie River Trail (about 30 miles). For more information and a GPS track, visit www.bikepacking.net/bikepacking-routes/oregon-three-rivers. 4. Coconino Route: According to the Bikepacking.net site, the Coconino Loop seeks to highlight the best of Northern Arizona mountain biking. From buffed singletrack among the pines of Flagstaff to technical red rock Sedona country, this ~250-mile loop is a grand tour of Coconino Country. For more information, visitwww.bikepacking.net/routes/coconino-loop. 3. Colorado Trail: This 535-mile route across the Colorado Rockies is an ultimate adventure for any singletrack enthusiast. Expect high altitude riding, stunning alpine landscapes, spectacular storms and not a small amount of bicycle pushing. But most who have completed this route say the scenery and world-class riding is more than worth it. It is possible to complete the trip without any vehicular support by re-supplying in Frisco, Leadville, Buena Vista, and Silverton. Allow 15 to 20 days for the trip. Because bicycle riding is prohibited in wilderness areas, through-cyclists are required to detour around each of the six wilderness areas through which The Colorado Trail passes. The official Guidebook carefully describes each required wilderness detour. For more information, visit www.coloradotrail.org/bike.html. 2. Arizona Trail: The 700-plus-mile Arizona Trail travels from Mexico to Utah through the low Sonoran Desert to the north rim of the Grand Canyon. Although bicycles are allowed on much of the trail, the Grand Canyon crossing requires cyclists to either take a long detour around, or carry their bicycles on their backs across 24 miles and 6,000 vertical feet of trail. Camping along the trail also requires permits in some areas. For more information, visit www.aztrail.org. 1. Great Divide Mountain Bike Route: Adventure Cycling Association's own 2,745-mile off-pavement route from Banff, Alberta, to the Mexican border remains a classic and a worthy goal for any mountain bike travel enthusiast. Check out the route description for more information. Join up to 9,000 bicyclists on Saturday night/Sunday morning July 10/11 2010 for Friends of the Parks’ L.A.T.E. Ride. Enjoy a 25-mile ride through Chicago's neighborhoods and along the lakefront. Cycle past skyscrapers, hear shout of "Opaah!" in Greek Town, cruise through the North Side, wave to onlookers, and watch the sun rise over Lake Michigan. Plus, you’ll enjoy music before the ride, sponsor booths to explore, refreshments before the ride and at the rest stop, and great food and beverages after your trek through the city. Friends of the Parks’ L.A.T.E. Ride is Chicago's biggest charity bicycle ride! Proceeds from the event benefit Friends of the Parks, a 34-year-old not-for-profit parks advocacy group whose mission is to protect and improve Chicago's parks and forest preserves in Cook County. Since 1975, Friends of the Parks has served as the city's strongest independent advocate for improved parks and park programs, for the creation of new parks, and for better management of Chicago's recreational resources. Friends of the Parks hosts an annual Earth Day citywide parks clean-up, an Adopt-a-Park program, community service days, a neighborhood greening initiative, and park tours. 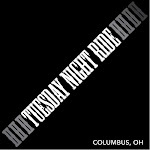 We've hosted our after-midnight ride, our biggest fundraiser, since 1989. Your generous support makes our work possible! What is Trees By Bike? Trees By Bike is a small business created by Portland folks who are looking to spread some holiday cheer, make a little extra money, and raise some cash for things we care about. All of our trees are locally grown and 10% of your order total is donated to Project Grow, a local organization that is pretty amazing. why not is it spread with wheels and legs and just heart? “For the sake of all goodness, we must do this well. Now, Riders! Now, Racers! Now, Couriers, and Gophers! “To the valleys and gorges! To the top of the hills! And that’s how Abraham Lincoln saved the world. Oh wait, I mean that’s how Trees By Bike was started. Although my icebiking friends in Alaska continue to use their studded bike tires, most of the Northern Hemisphere has escaped the grip of winter. Al asks, though, about information on studded tires. This web page is intended to help educate winter cyclists about studded tires. There's a lot to read on this page, and unless you are sure you know exactly what you want, it would behoove you to read the entire page before placing your order. I've put a lot of work into this page, to help you be sure that you're getting the right tire for your needs. I think you'll find that a few minutes spent reading is time well spent. You could call and ask, but many people don't know what questions to ask. This page answers many questions you may never have thought about. I stock Nokian carbide studded bicycle tires for winter riding on ice and snow; too many models to count. I am also stocking several Schwalbe studded tires, which now come with extremely durable carbide studs, instead of the steel studs they used to use. I'm thrilled about this, since Schwalbe makes very high quality tires and we have so many happy customers using their regular tires. Scroll down the page for pictures and descriptions of the new Schwalbe tires, including a new 20" (406mm) tire. Call between 10AM and 4PM eastern time M-F to place an order. In some of the photos below, the top view is a bit deceiving. Since the camera is very close to the tire and ruler, the tires appear to be a bit narrower than they are. Add 3 to 4mm to the width you see. But the relative widths are accurately shown. Also, all of the 26" tires are mounted on a relatively narrow rim. A wider rim, such as the Sun Rhyno Light, would allow the tread to flatten out 1mm to 2mm further. They gathered outside an Arizona resort in skin-tight clothing and aerodynamic helmets, standing astride pro-quality racing bikes. They could have been mistaken for local cycling fanatics preparing for a Saturday spin. Lance Armstrong with Thomas Weisel, left, after 2000 Tour de France victory. What they were, however, was a cadre of elite businessmen who had supercharged American cycling with cash infusions, helping to turn Lance Armstrong and a handful of other American riders into stars. The February 2003 gathering was their chance to enjoy the dividends: to pound the pedals for 60 miles with Mr. Armstrong, the reigning Tour de France champion, and other U.S. Postal Service team members such as Floyd Landis and George Hincapie. "There was a lot of macho that day," says one of the riders, Kenneth Barnett, chief executive of a Michigan marketing firm, of his fellow executives. "These fairly accomplished people were like little boys with big toys." Over the course of a half-dozen years in the early 2000s, a small group of wealthy executives—including San Francisco investment banker Thomas Weisel and shopping-center magnate John Bucksbaum—turned their hobby into the ultimate fantasy camp. They helped put together one of the best pro cycling teams ever assembled and basked in the glow, going behind the ropes at the Tour de France and riding hard in amateur races on Postal team bikes.